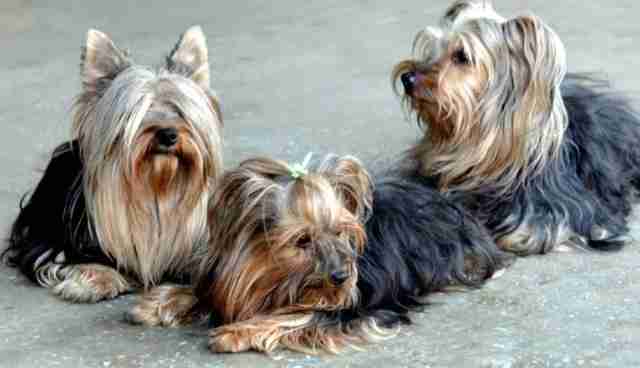 The stark grounds of a zoo in North Korea will now be home to a new type of exotic animal attraction -- three Yorkshire Terriers. According to state run media, the animals were recently transferred to the Central Zoo in Pyongyang where they are currently being trained to perform tricks. "Each one has long hair tan on its head and legs and blue grey on its body. It is 22-24 cm [8.6-9.4 in] tall and weighs 2.5-3.5 kg [5.5-7.7 lbs]. It lives about 14 years on an average." Korean News Service (KCNS) reports. "Now they are learning several feats in the zoo." While in the photo above, released by KCNS, shows the dogs looking to be in good health, a review of the Central Zoo by travel guide Lonely Planet offers a glimpse at the bleaker life that might await them. "[Central Zoo] has a large array of animals, most of whom look pretty forlorn. Worst off are the big cats, nearly all gifts of long-dead communist big wigs around the world -- the wonderful lions, tigers and leopards are kept in woefully inadequate compounds, and many have lost the plot as a result." A promotional video for Central Zoo found on YouTube shows a variety of "traditional" zoo animals, like elephants, rhinos, chimps and bears, housed in barren concrete enclosures. Near the end of the clip, two dogs can be seen performing tricks -- one jumping rope alongside a monkey, and the other walking on its hind legs. 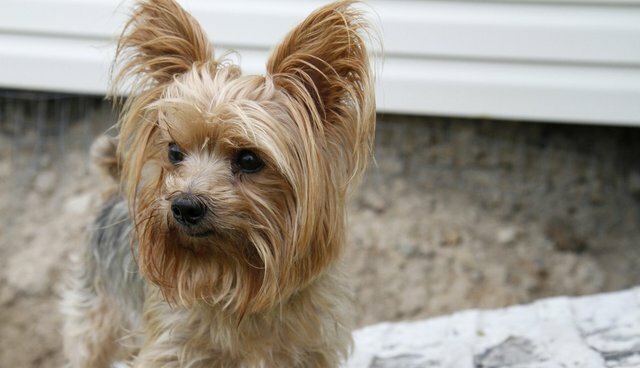 It's unclear how the Yorkshire terriers will be kept when they are not being made to perform "feats", but the Lonely Planet's description suggests it wouldn't be unusual to see them locked up like its many other animals. The zoo's oddest exhibit, the review notes: a "huge cage of domestic cats."